Item # 311028 Stash Points: 14,300 (?) This is the number of points you get in The Zumiez Stash for purchasing this item. Stash points are redeemable for exclusive rewards only available to Zumiez Stash members. To redeem your points check out the rewards catalog on thestash.zumiez.com. 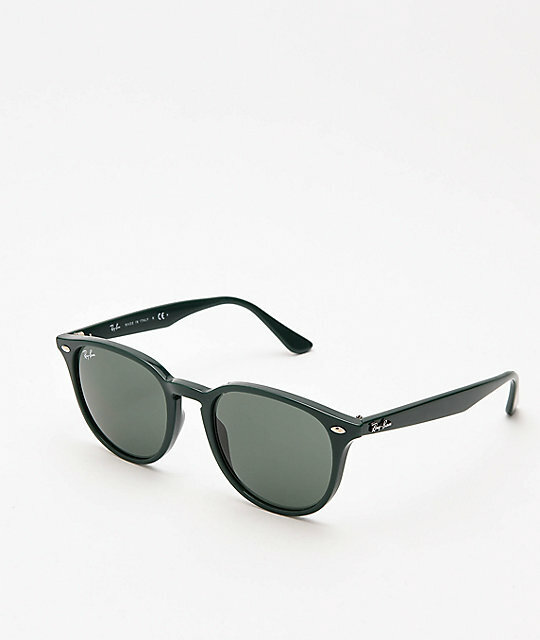 For a fresh take on the classic Wayfarer, add the RB4259 Green & Green Classic Sunglasses from Ray-Ban to your daily look. Featuring a glossy green propionate frame with a slightly squared lens shape, these shades are sure to complete your sunny day aesthetic. Green Classic lenses absorb 85% of visible light, while enhancing contrast and visual clarity, keeping your eyes happy and your style on point. 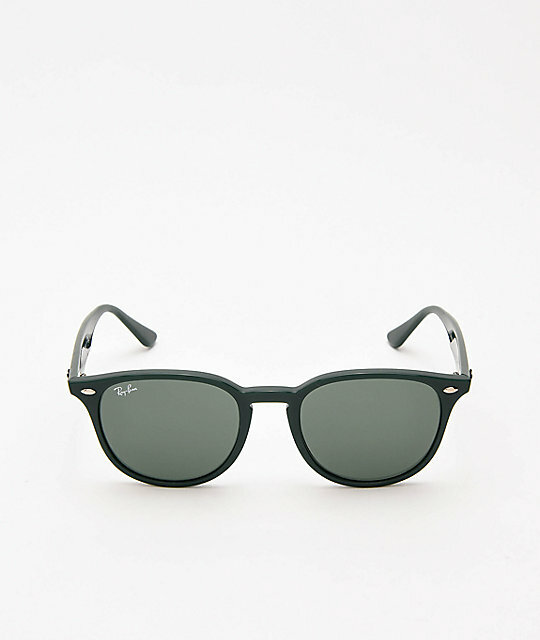 RB4259 Green & Green Classic Sunglasses from Ray-Ban. Green lens offers clarity & eliminates glares.